As a homeschooling mom I’ve had kids at home for 25 years. This means noisy days, busy days, and these-kids-are-giving-me-a-headache days. With three little ones I’m looking at another 15 years of homeschooling and having kids at home. Does that seem overwhelming? It would have been if I hadn’t discovered something amazing: JOY! Over the last year God has been speaking to my heart and encouraging me to find joy in everyday living. Joy even though the laundry is piled high. Joy even though the kids are cranky. Joy when work deadlines press. But how do you find joy in your day? Here are 6 ways … and a Scripture verse for each! 1. Thank God for each new morning. A thankful heart goes a long way. Daily when I wake God, instead of looking at all the things I have to do, I thank him for who I am and what I have. Thank you, God, that I’m your daughter and I have a place in your eternal home. Thank you, God, that I’m a wife and mother. Thank you, God, for the pile of laundry and all the clothes you’ve provided for us. Thank you, God, for the dishes still in the sink from last night. We went to bed with full bellies. 2. Turn on worship music. I love listening to worship music as I read my Bible and journal in the morning. I put on popular Christian songs as we homeschool. I also listen to Christian music as I write. I love using apps such as Pandora, Spotify, Amazon Prime Music, and Slacker to help me find great music. I also sing along! 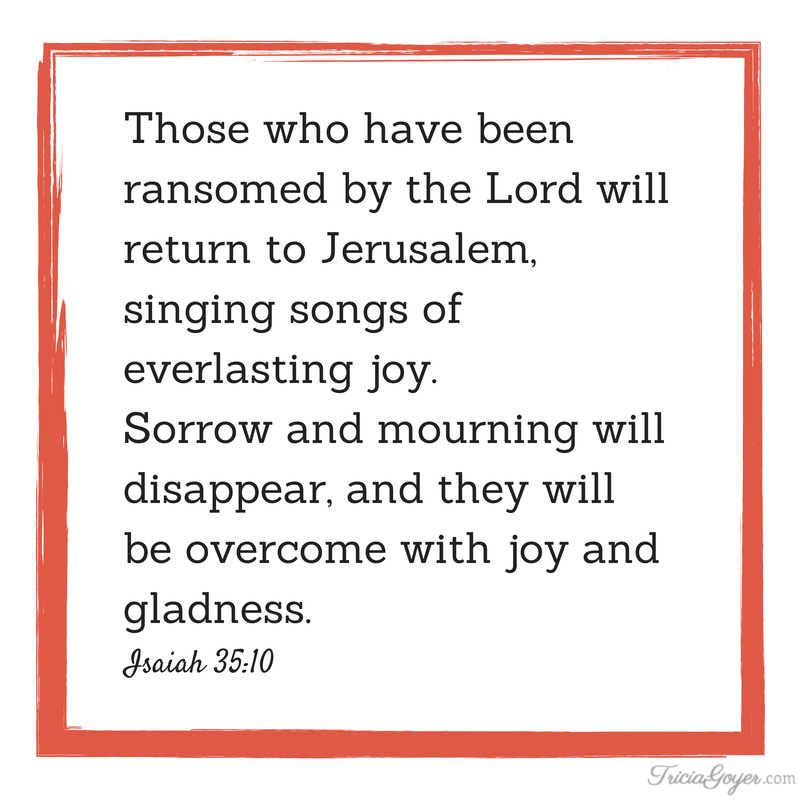 Singing songs of joy helps sorrows (and frustrations) to disappear! 3. Asking God to remind me what His kingdom is all about. In life I want to be comfortable. I want my house to be Pinterest worthy. I want my kids to shine. But when I think about God’s kingdom He helps me get my mind on Kingdom Work. Opening my door to neighbors. Sharing God’s truth with young moms. Calling a friend who’s going through a hard time. Playing a board game with my kids instead of putting away the laundry. The Kingdom is about people and hearts–not tasks! 4. Seek the Holy Spirit. When did I ever start thinking that I have to handle life alone? God has given us His Holy Spirit to fill us, work through us, and give us peace. Stopping to pray and ask for God’s Holy Spirit to help me makes a huge difference. 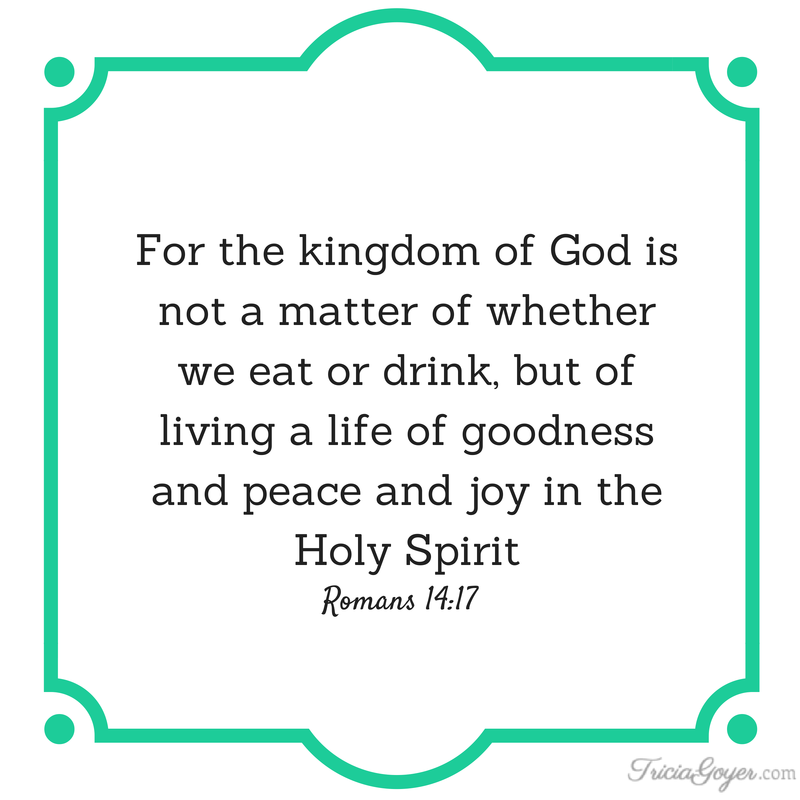 The Holy Spirit gives me joy when I have none. 5. Join the kids in praising God. The best thing about having three little kids is that they LOVE to praise God. We have “Jesus dance parties” often. 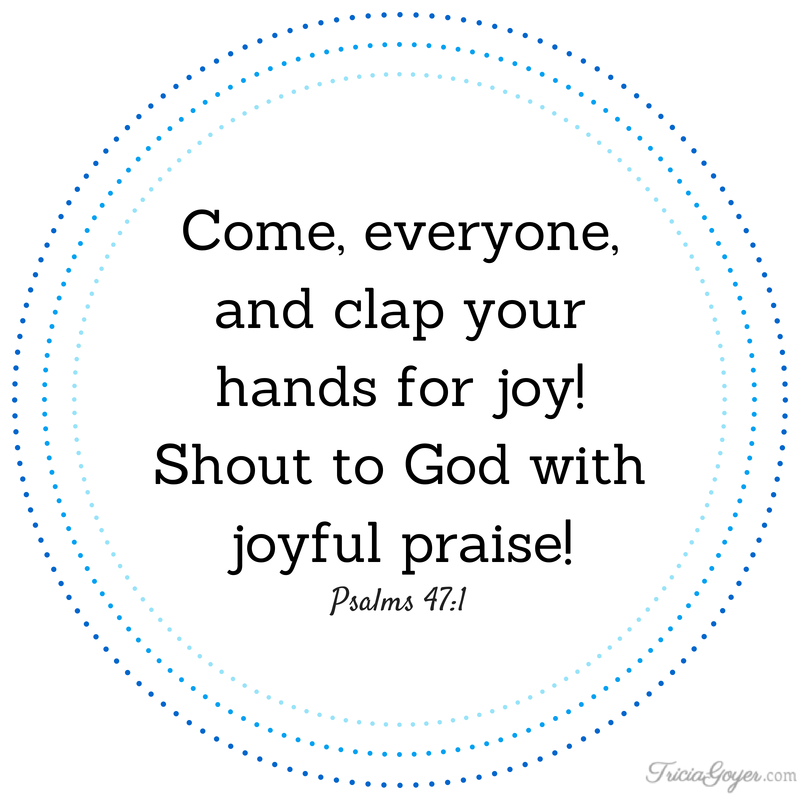 We put on kids praise song, clap our hands and dance and sing. They love it, and seeing their joy makes me more joyful. 6. Thank God for troubles. The honest truth is that without troubles I wouldn’t need God. If everything went smoothly in life I wouldn’t pray or praise as often. When I thank God for troubles I remind myself that He has everything in control. 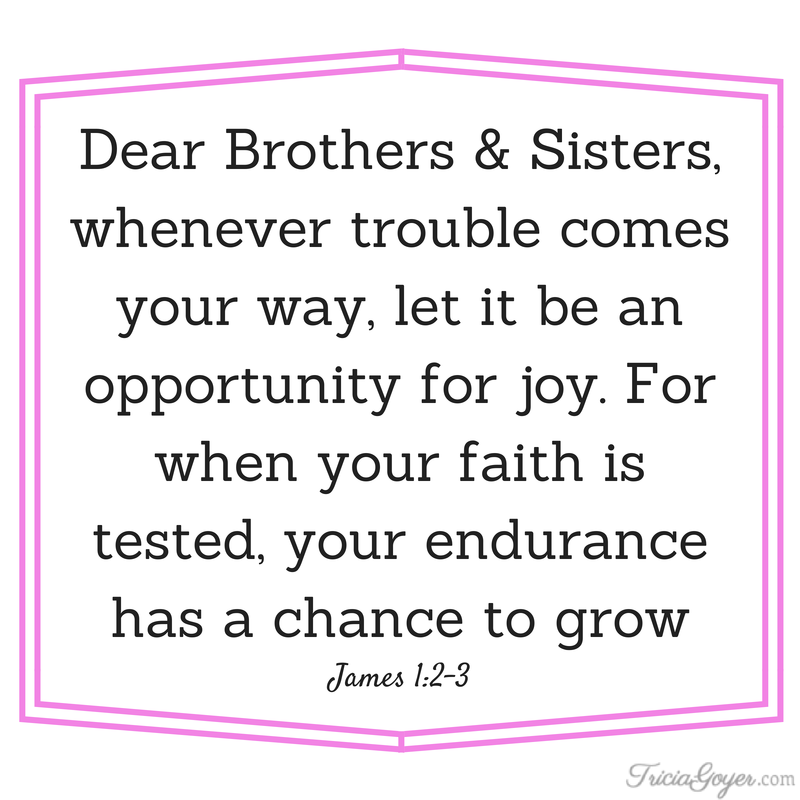 Like Scriptures say, troubles are an opportunity for joy! I hope you print and use these Scriptures in your day. I’ve found them very helpful. How about you? 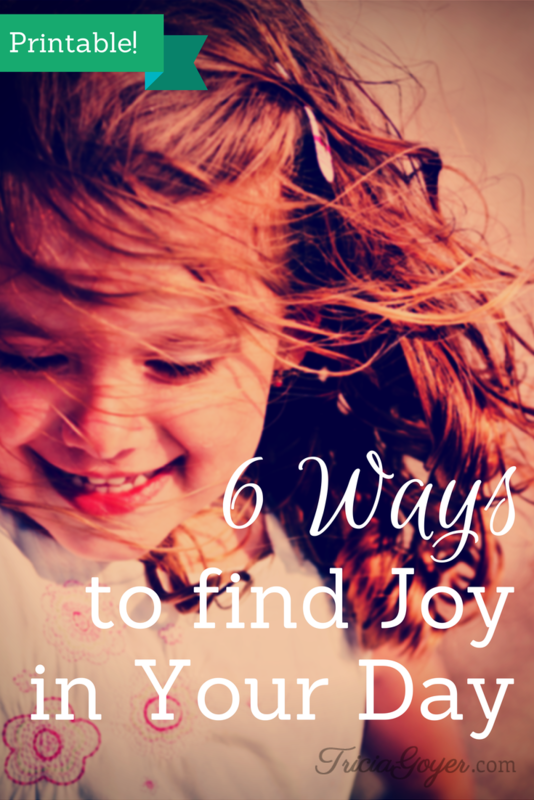 What do you do to find joy in your day? 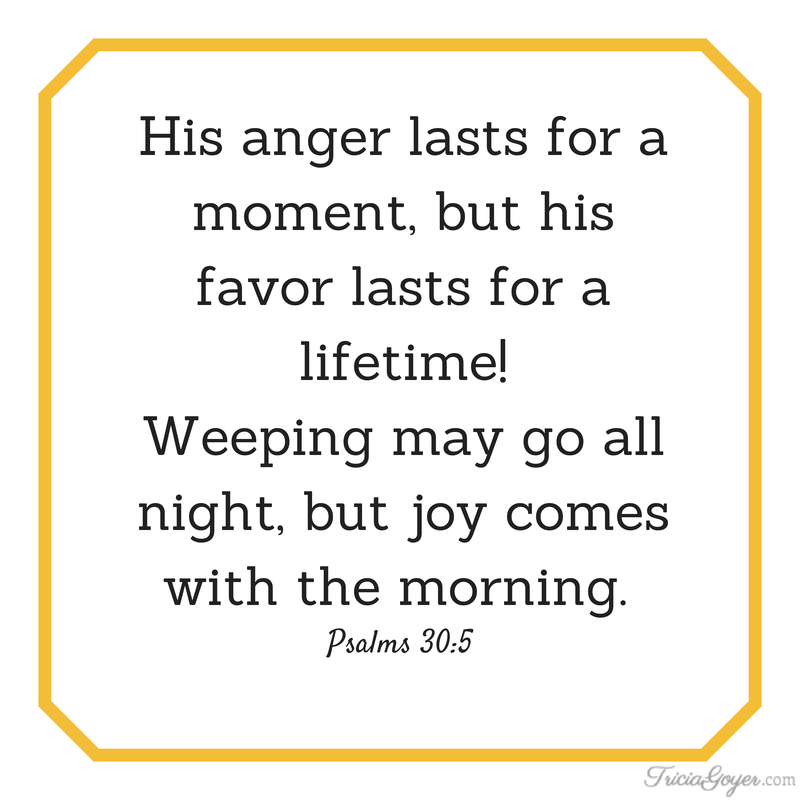 What’s your favorite Scripture about joy? Dear Heavenly Father, today I pray for my friend. I pray that she may find joy in you. I pray that Your Word will draw her heart to you. 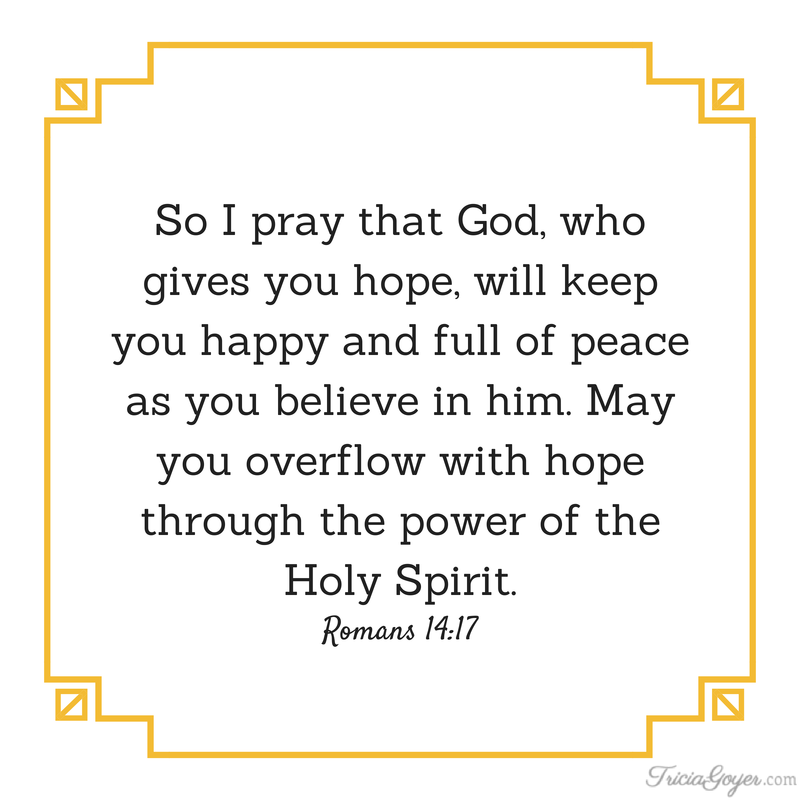 I thank you for your Holy Spirit that can plant joy deep in our hearts, even when there are struggles all around. Joy is my “word”. Thanks for this post. EnJOY your day! You’re welcome! May your day be filled with JOY! Life has thrown a lot of negativity at me lately, but I made a commitment to myself and to God this morning that I wouldn’t let it hurt me anymore. Then I found this post. Thank you so much for the encouragement before I even needed it. God is good! I love when God does that!! Tricia, thank you so much for this! I really needed it…joy is what has been missing in my life these days. You are so absolutely right…a heart of gratitude DOES make a huge difference. I’m glad it’s a blessing to you! God is good! I love children’s books by Max Lucado, Liz Curtis Higgs, Amy Parker, and Lisa Tawn Bergren! I’m so glad that you can use it!